I'm not a book tuber, but interesting tag for those that are. I have several other booktube tags on my to do list. They are fun to do and an alternative way to talk more about the sorts of books I enjoy. Given the recent changes on Youtube this one was a nice way to shout out to other smaller channels. This looks like a fun tag. I think this is a great tag. I am going to have to go find more booktubers to subscribe to. 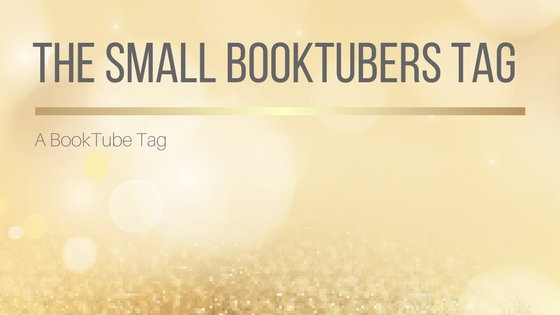 There are so many great booktubers, especially smaller channels. Here I tagged just a few of those I subscribe too. It is so nice to see you. I feel like we've really met now. Always looking for new Tubers to follow. Can wait to see what comes of this list. There's a good mix of styles and content from the people I tagged. Hope you find some you like. I love this concept. It is absolutely important to boost the smaller accounts. Loved getting to know more about your bookish world. Thanks. With the latest YouTube updates it's even more important for us smaller Youtubers to support each other.